Risotto is one of my all time favourite winter comfort food dishes. This winter I made one with two of my favourite vegetables, parsnips and Jerusalem artichokes. 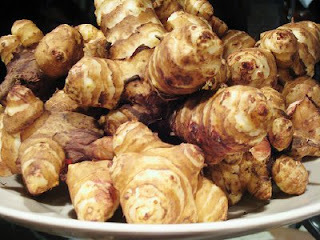 Now Jerusalem artichokes also go by the name of sunroot and sunchoke. Despite the name the vegetable is not actually an artichoke, so get that notion of a green bulb out of your minds! The grow from a large plant that actually really resembles a sunflower and a yellow daisy. 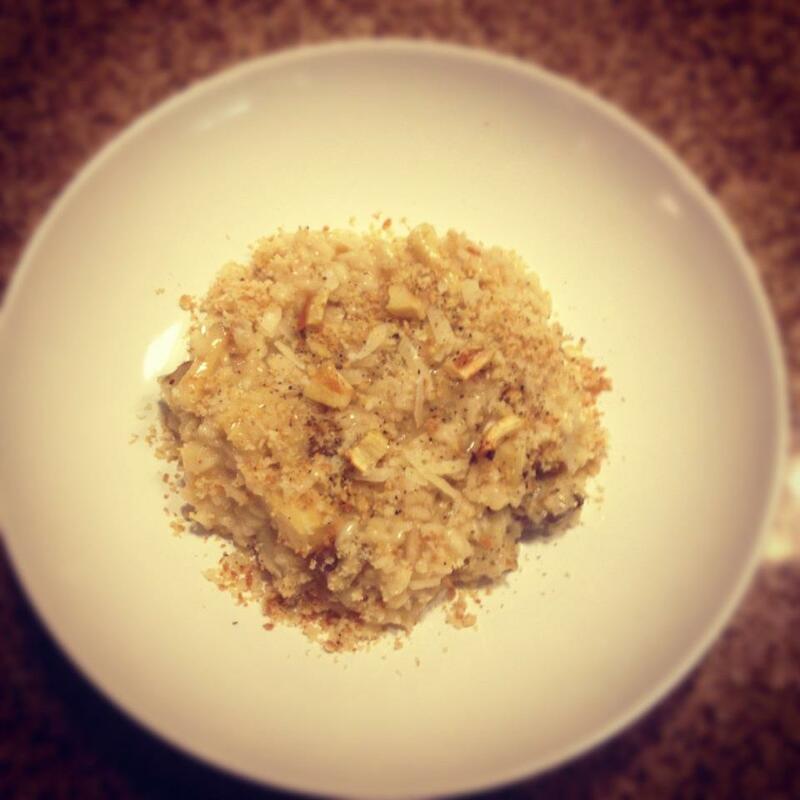 Here is the recipe for a very simple and delicious risotto! I love the toasted breadcrumbs on top, it gives this silky risotto a little crunch! 3. In a pot sauté the onion in a little bit of olive oil until it becomes translucent, do not brown.